Wild concepts and crazy supercars might grab the headlines in Paris, but back in the real world, what are the cars you might be driving in 2017? We’ve selected some of the best practical cars at the 2016 Paris Motor Show. A decade or so ago, it would have been crazy to start a motor show round-up gallery with a Skoda, but it just goes to prove how far the Czech brand has travelled. Without question, the Kodiaq SUV is one of the star attractions at the Paris Motor Show – it’s a car you know will sell like very hot cakes. The large off-roader was actually unveiled in Berlin earlier this month, but this is the first time the Kodiaq has been shown to the public. The response has been overwhelmingly positive, but then the Kodiaq ticks a lot of very important boxes. It’s an SUV, so it enters a growing market; it’s a Skoda, so value is virtually guaranteed; plus it will be offered with a choice of either five or seven seats. It also helps that it looks cracking, especially under the bright lights of the Paris show. Bank on paying upwards of £23,000 when it goes on sale later this year. 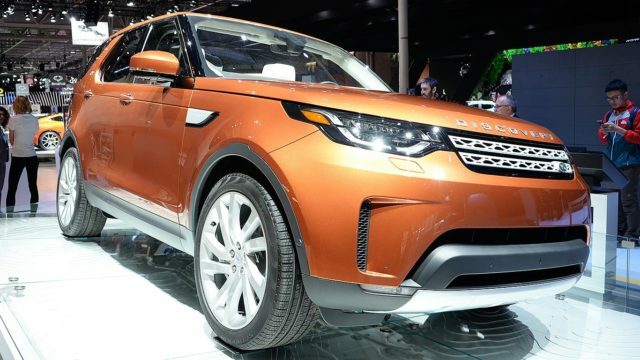 Do not adjust your set, this is indeed the new Land Rover Discovery. Much has changed since the first generation ‘Disco’ was launched in 1989 and the new one looks like a larger Discovery Sport. But is that necessarily a bad thing? After all, the Evoque and Discovery Sport are two of the most popular premium SUVs on the planet. The Discovery had to change, of course. Faced with strong competition in the form of the Volvo XC90 and Audi Q7, the new Discovery has emerged with a fresh new look, a range of more efficient engines and improved technology. Prices start from £43,493 for the base Discovery S, but if you’re quick you can get your hands on a First Edition, priced at £62,695. Only 600 are coming to the UK. As expected, Peugeot is putting on quite a show at its home motor show, with the 3008 likely to be one of its most popular new models. It’s no coincidence that the new 3008 looks more SUV than it does MPV, because people carriers are like so yesterday, darling. The new 3008 is chunkier than before, with a raised right height adding a modicum of off-road ability. The new Peugeot 3008 is actually smaller than the outgoing model, but thanks to a longer wheelbase there’s more space inside. It shows, because the cabin feels spacious, while the boot can swallow 520 litres of family life. Throw in a range of efficient petrol and diesel engines, plus some class-leading technology, and we think the 3008 has what it takes to give the Nissan Qashqai a bloody nose. Before the show got underway, the SMMT (Social of Motor Manufacturers and Traders) put on a display of British-built cars beneath the Eiffel Tower, one of which was the new Honda Civic. It’s fair to say that not everyone has welcomed the new styling, although it certainly stands out. You may or may not like the exterior, but you’ll almost certainly appreciate the interior. The new cabin is a huge step forward, with a more premium feel and a semi-freestanding infotainment system. This is a big car for Britain, with the Swindon plant expected to build some 160,000 Civics a year, many of which will be exported around the world. 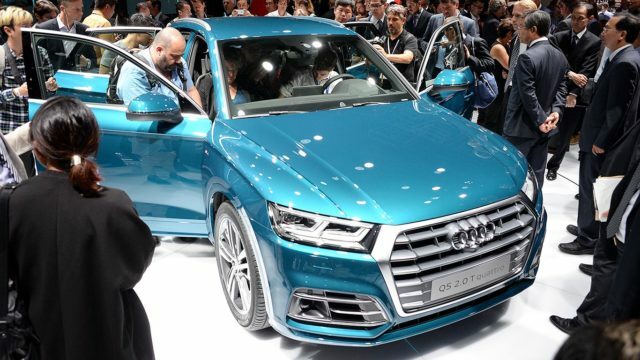 This is a big deal for Audi, with the Q5 pushing even more upmarket and introducing a style that’s more in line with the Q7. The new Q5 switches from the MQB to the MLB platform, making it up to 90kg lighter than the outgoing model. Five engines will be available at launch, while a hot RS Q5 will follow in 2017. Other big news from Paris includes the availability of air suspension – a first for the Q5 – along with LED rear lights and a future plug-in hybrid model. 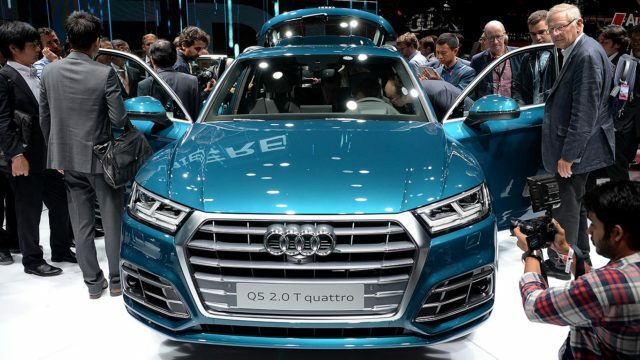 In common with other Audi generation changes, the styling is more evolutionary than revolutionary, but when parked side by side, we reckon the new Q5 will make the outgoing model look and feel a bit frumpy. The humble people carrier is dead? 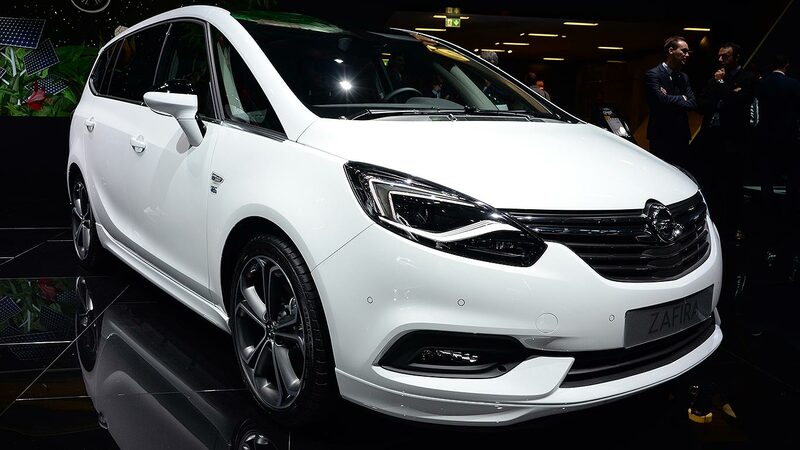 Not according to Vauxhall, which has just refreshed its popular Zafira Tourer. The Opel-badged cars on show in Paris showcase a new, mildly refreshed face, which to our eyes is less appealing than before. Not that this matters, because the big news is on the inside. The Zafira Tourer now boasts Vauxhall’s rather excellent OnStar personal assistant, while the clever Flex7 seating remains its standout feature. Aside from that it’s largely as you were. This truly is the mildest of midlife facelifts; a case of ‘if it ain’t broke, don’t fix it’. If you fancy a ‘new’ Zafira Tourer, you’re in luck, because they go on sale from the 1st October. 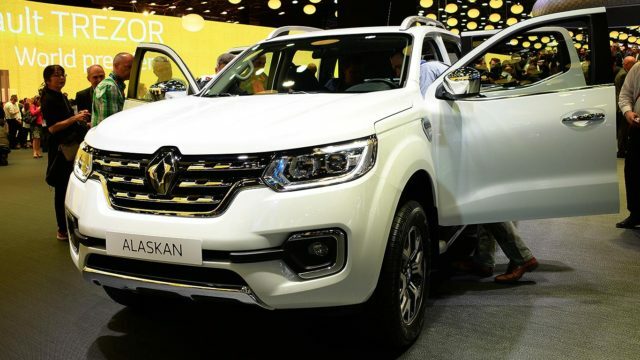 The Renault Alaskan is to the Nissan Navara what the Fiat Fullback is to the Mitsubishi L200. In other words, it’s a thoroughly Japanese pick-up that’s been treated to a European makeover. The pick-up market is buoyant, so it’s little wonder Renault has chosen to enter this part of the light commercial vehicle sector for the first time. Thanks to that huge badge at the front, it certainly looks like a Renault, and the engines will be familiar, too. In the UK at least, we expect the Alaskan to be powered by the same 2.3-litre turbodiesel engine found in the Renault Master van. If you like what you see – and we certainly do – the Alaskan is expected to arrive in the UK in the first half of 2017. Wait, haven’t we featured this already? Actually, no, that was the Peugeot 3008. 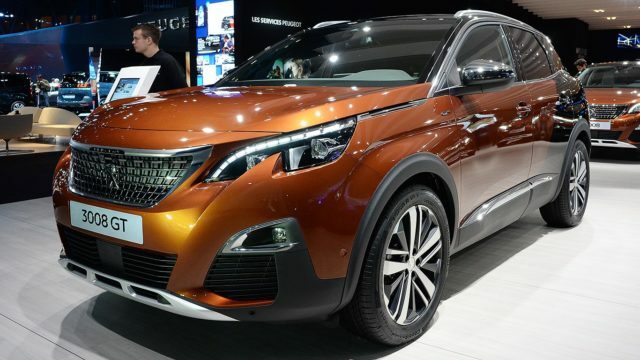 This is the 5008, Peugeot’s response to the Kodiaq. 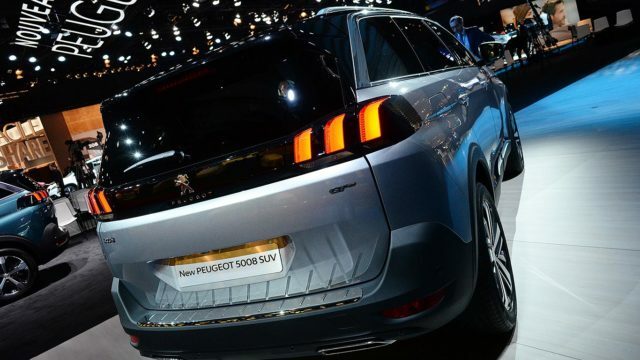 In other words, this is Peugeot’s new seven-seat SUV, which looks a whole lot better than the outgoing 5008. It’s a cracking looking thing, especially at the rear, which is dominated by those claw-like lights and a rather striking design. Inside you’ll find a new i-Cockpit system, which is Peugeot’s version of Audi’s Virtual Cockpit, but with a French twist. It’s totally driver-focused and includes an 8-inch touchscreen and 12.3-in digital cluster. If this is the future of the MPVSUV, we rather like it. 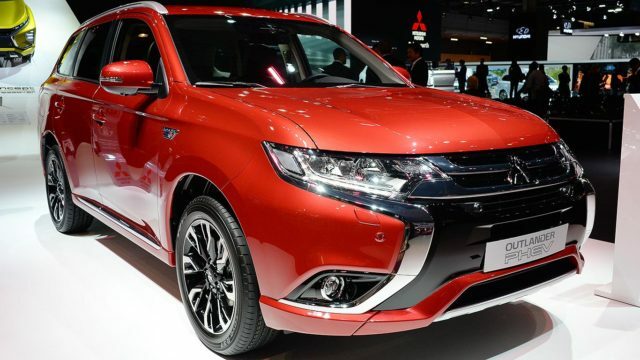 The Mitsubishi Outlander PHEV has been treated to a makeover, with a new EV priority switch, designed to keep the car in electric mode when required. You’ll also find an electric handbrake and auto hold function, plus support for Apple CarPlay and Android Auto. This is a welcome addition, because the current Outlander isn’t blessed with the greatest of infotainment systems. The Outlander diesel now gets a PHEV-style full length console with electric handbrake, smartphone link and a host of new safety features. 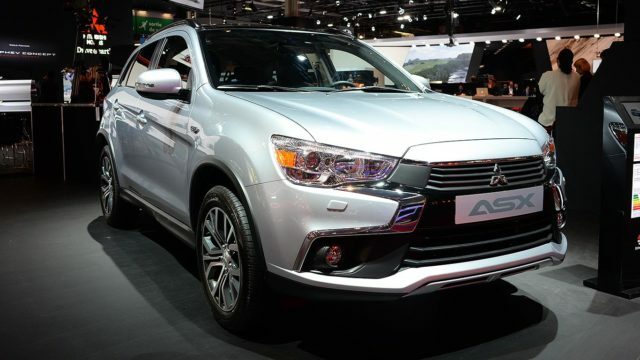 The new Mitsubishi Outlander diesel will arrive in the UK at the end of 2017. If the Audi A5 coupe is a little too cramped for your liking, Audi has a ready-made answer in the form of the new A5 Sportback. 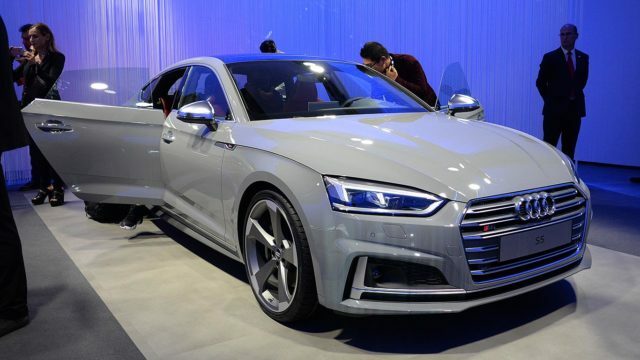 Available as both an A5 and a sportier S5, the cars boast an additional two doors, as well as more cabin space. The Sportback is 17mm longer than the coupe and it’s fair to say it’s not as attractive as the three-door version. But on the plus side, the cabin is noticeably larger, with more shoulder space and knee room, plus an additional 15 litres of luggage space. Ahead of its imminent launch, the Mitsubishi ASX has sharpened up its act with an interpretation of the so-called ‘Dynamic Shield’ visual identity. 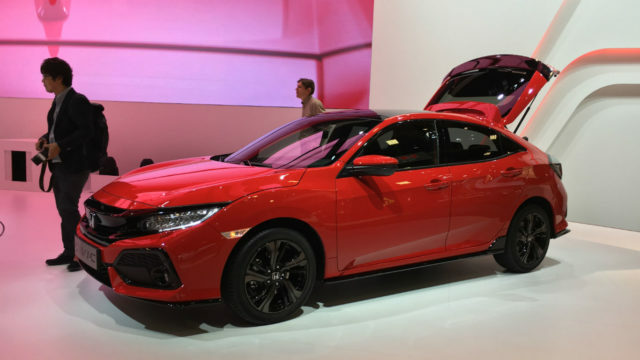 Highlights include a revised front bumper, chrome streaks and an upper grille that connects with the headlights. It’s a good look, right? Other features include a shark fin antenna, more supportive rear seats and a new 1.6-litre turbodiesel engine. You can order your new ASX in either two-wheel drive or four-wheel drive. 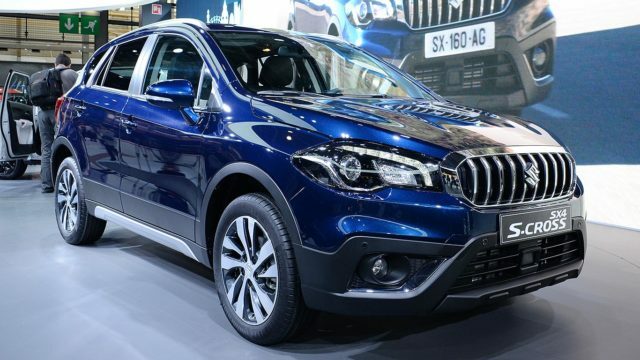 The Suzuki SX4 S-Cross is a much improved car, although the jury is still out over the new face. Look beyond that ‘Vanden Plas’ grille and you’ll find the brilliant 1.0-litre Boosterjet engine, which replaces the old 1.6-litre unit. It’s a terrific engine: eager to rev hard when the mood takes you, but frugal when the mood doesn’t. In common with other Suzukis, you get the impression you’re getting far more for your money. It might be a credible rival to the Nissan Qashqai, but the pricing structure is more in line with the Juke. And it’s well-equipped, too. Prices start from below £15,000 and the SX4 S-Cross is available from October. 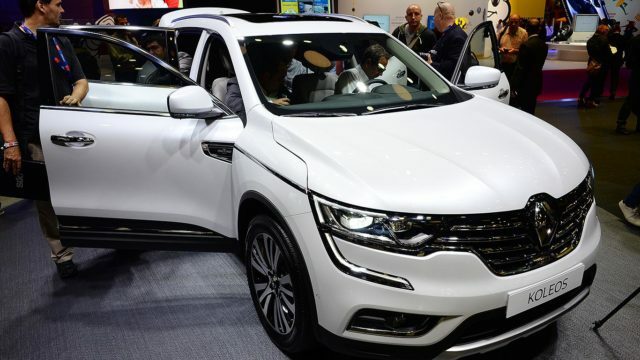 The Renault Koleos has made its European debut in Paris and the big news is, it’s coming to the UK. It is to the Nissan X-Trail what the Renault Kadjar is to the Nissan Qashqai. In other words, the Renault shares its platform with its Japanese counterpart, with the Koleos receiving a French makeover. To our eyes, the Koleos is more appealing than the X-Trail, especially in the range-topping Initiale Paris trim shown here at the show. Renault is promising class-leading space for passengers and the latest four-wheel drive technology. It’s set to go on sale in the UK in summer 2017, by which time we should know more about the engines, specs and prices.